"It's a potentially bad idea because last time I saw you a) we couldn't keep our hands off each other, b) you smashed a pint of milk on my kitchen floor, and c) you refused to leave my house til 5am. But hey, it was entertaining!" - "Ha, well I promise I won't spill any milk! At least I was entertaining... Where do you want to meet??" So... I didn't go! I didn't meet him. I gave him a lame excuse about eating dinner with the parents. His lack of response to my "we couldn't keep our hands off each other" comment confirmed that he was probably expecting the same thing to happen again. And a call from Becca asking me what my motives were made my conscience kick in. 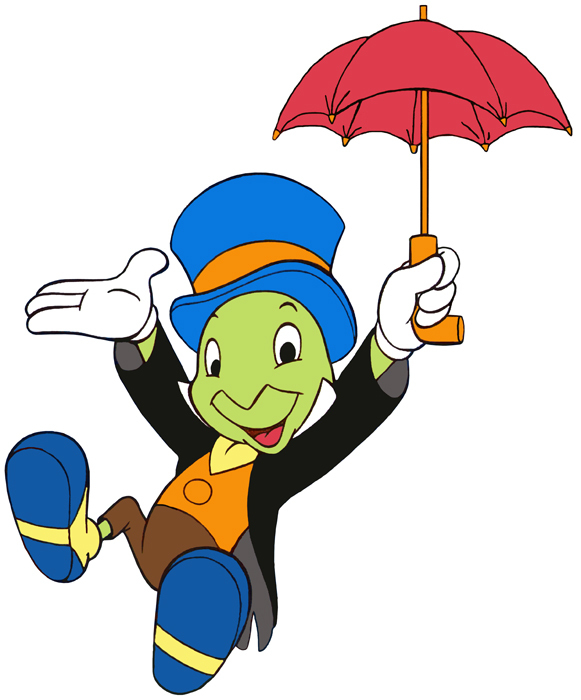 Gotta love some Jiminy Cricket action. Will someone please be proud of me? Well done! Someone better - and single - will come along! Oh my gosh, I just nearly had a full blown heart attack! After browsing your blog I managed to half convince myself that you could be his girlfriend! You mentioned Clapham, which is very close to where they live... And you're in PR, so is she. And he works with cars, you're with The Mechanic. But its ok, you're not her. Phew! ...at least, I hope you're not! Incidentally, I do PR around recruiting new teachers, so I'm finding that aspect of your blog very interesting! Bluesoup - You're not her, don't worry! I can never decide which direction to take my blog in... I'd rather not write about school so much, but menfolk stories are thin on the ground at the moment!